Hotel Rosario Lago Titicaca. 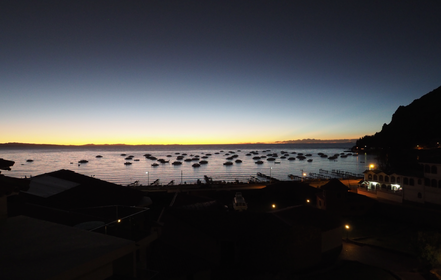 Best hotel in town with view on Lake Titicaca. You can book it here. La Orilla. Nice restaurant at busy Agosto street. 6 de Agosto. Not tried but recommended: Trip to Isla del Sol and Isla de la Luna. Hotel Rosario. Nice hotel of the Rosario group with comfortable lobby and good restaurant. You can book it here. Above mentioned restaurant Tambo in the Rosario hotel. To enjoy food in a bizarre colonial setting, go to Angelo Colonial. 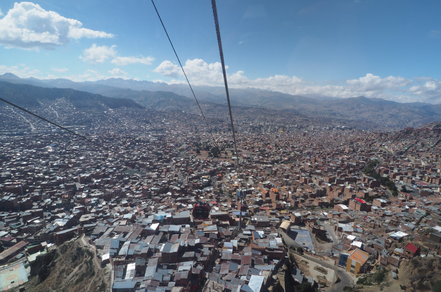 A ride with the modern Austrian Teleferico up to El Alto gives a nice bird‘s view over the city. 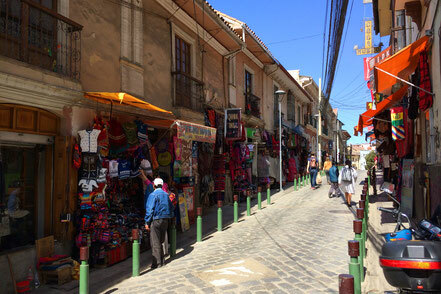 The mysterious colonial Jaen Alley is nice to walk through and close to four museums that can be visited with a combination ticket: Museo de Metales Preciosos, Museo del Litoral, Museo Casa de Murillo, Museo Costumbrista. Linares Alley is nice for shopping souvenirs and eating. It also has a section that sells ingredients for magical mixtures, called the "witch-alley". There you will see many Llama foeti hanging as they are said to bring luck. Jumari. 2* accommodation with heating and nice reception. You can book it here. Lithium Club. Serving local dishes as well as pizzas. Av Potosi 24. 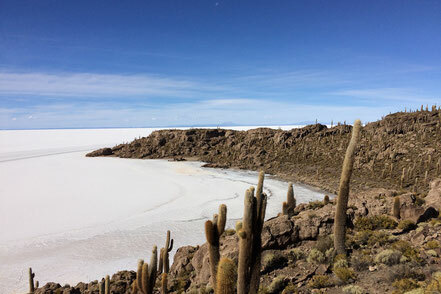 A tour through the salt flats and desert are an indescribable experience (and probably the only reason for stopping by in Uyuni town). Creative Tours organize high-quality shared tours with accommodation in the Tayka hotels. 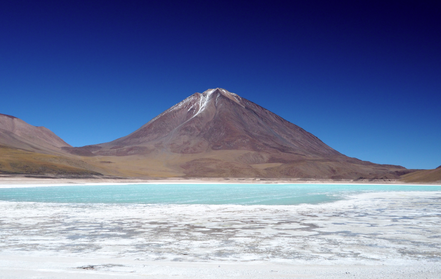 The tours can go from Uyuni to Uyuni but also from Uyuni to e.g. San Pedro de Atacama in Chile. Meals are included as well as a small package of snacks and some drinks. A sample tour will mostly include: the train cemetery, the cacti island Incahuasi, the hill called Catedral, the Cueva Chiquini cave, Arbol de Piedra rock formation, Geysir fields and the famous lagoons. 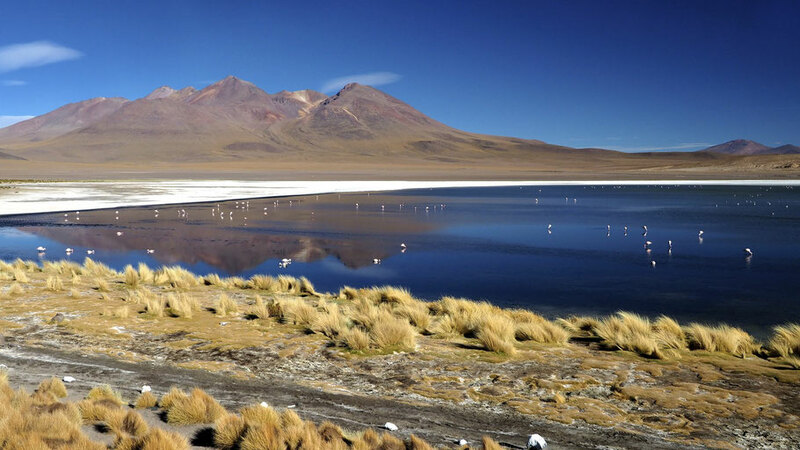 Look for local animals like Llamas, Vicuñas, Viscachas, and of course Flamingos.